I know this is a little late! 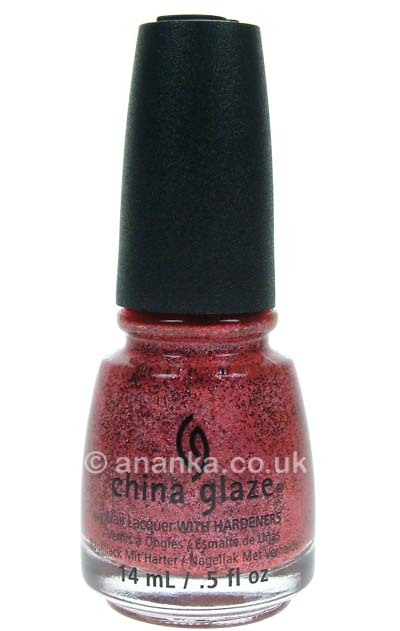 This is part of the recent China Glaze Hallowe'en collection! This is easy to use, easy to apply and MEGA quick drying (about 20 seconds or less). I hadn't even finished painting my hand and the thumb & index fingers were dry!!!!! It's a slightly textured polish that is matte. 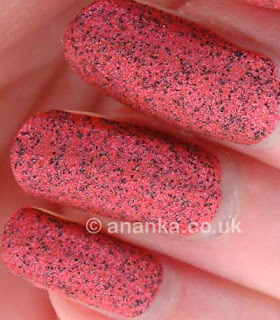 At first I thought it was a bit weird looking from swatches I'd seen but I was still drawn to it! Having had it on - I do really, really like it. I had noticed slight tip wear on both index fingers but none of the others and it lasted well otherwise. I've loved this collection sooo much! This and the green one are my favourite <3 So weird and so different from anything else! Wow I want This NOW. I love it. It so beautifully different! Ha! I'm just like you, when I first saw it in the bottle I thought 'sheesh... I'm supposed to wear that?" and then I totally changed my mind when I put it on!!! It's really fabulous!